Deploying DirectAccess in Microsoft Azure | Richard M. Hicks Consulting, Inc.
What’s this rumour that MS are not continuing to develop DA moving forward? Not a rumor, it’s a fact. 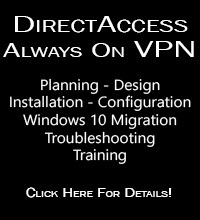 There have been no new features or functionality added to DirectAccess since Windows Server 2012. 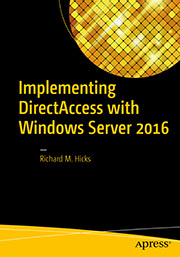 This continues with DirectAccess in Windows Server 2016. It is still available and fully supported, and will be for the foreseeable future. However, they don’t appear to be investing anything more in the technology other than providing bug fixes and stability enhancements. As I know Microsoft is not applying any SLA for a single VM on Azure. If NLB is not an option for DirectAccess do we have any other option to achieve any redundancy and SLA for the Direct Access service? If there isn’t, how can it be officially supported? Your only supportable option for redundancy for DirectAccess in Azure is to use a multisite deployment model. There you’ll place DirectAccess servers in other Azure regions to achieve desired high availability. Would you please explain the topic “DNS names and addresses” a bit more in detail? Based on the article I’m not sure what to choose for DA address, public DNS entry (CNAME) and what should be listed in the certificate. An example would be great. Thank you! Sure! Let’s say you assign a public IPv4 address to the Azure VM and choose the static address assignment option. You can simply create an A host record in DNS that resolves this name to the Azure IP address. For example, da.yourcompany.com would resolve to the Azure public IPv4 address. If you chose the dynamic IP address assignment method, you would also assign a public hostname in Azure, for example azure-da.uswest.cloudapp.net. You would then create a CNAME record in DNS that points your FQDN, da.yourcompany.com, to azure-da.uswest.cloudapp.net. The subject name of your SSL certificate must match whatever you enter in DNS, in eitehr case it would be da.yourcompany.com. Richard, my understanding is in order to use a Multisite deployment model of DirectAccess you need to use native IPv6 address space, which to my knowledge is not supported in Azure? 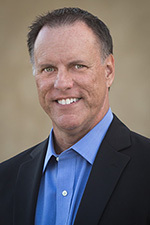 Richard – https://support.microsoft.com/en-us/kb/2721672 was update on Oct 3. There is now a caveat that Direct Access is ‘now’ not a supported Remote Access Role Feature in Azure. Most interesting. I’m checking on that now. I assume a site-to-site VPN between Azure and on-prem is required for full network access through DirectAccess in Azure.. Will the configuration differ at all from your guidelines when using S2S VPN? That’s correct. If DirectAccess clients connecting in Azure require on-premises network access, some form of cross-premises connectivity will be required (site-to-site or Express route). Nothing changes with regard to the DirectAccess configuration, however. No. I was unable to get manage out working with DirectAccess in Azure. This is no doubt due to limitations imposed by the Azure networking infrastructure. No, I have not. I’ll try to do that in the future as time permits. In the mean time here’s some additional information on IPv6 in Azure: https://blogs.technet.microsoft.com/solutions_advisory_board/2016/10/13/ipv6-for-azure-vms/. Yep. I don’t expect this to change any time soon either, sadly. Did you ever go back and test with IPv6, Also in your testing and experience is it just Manage-Out that doesn’t work, or are there other limitations within Azure? Richard – thanks for this blog, very helpful. I’m in the process of doing this for a customer, and i’m curious as to if i need to use a public IP on the DA server, or if i can NAT it behind an azure load balancer? I’m trying to limit the number of azure VMs in the infrastructure with a public IP. Thanks!